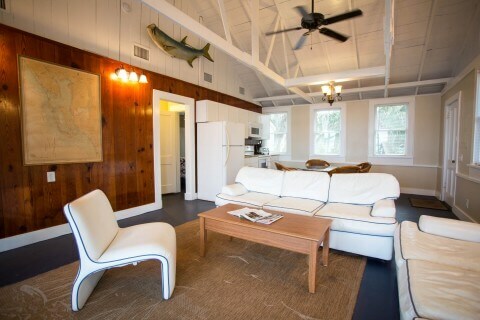 The Tarpon Cottage is a historic fishing outpost constructed in the 1930’s for the New York aquarium to study Tarpon. The Tarpon Cottage, completely remodeled in January, 2010, is a two bedroom, one bathroom air conditioned cottage that has a queen bed in each bedroom, living room, basic TV, fully equipped and furnished kitchen and is located on the water with a private dock and screened front porch facing a gorgeous view of the Pine Island Sound. My girlfriend and i stayed in the Tarpon Cottage this past weekend to get away for my birthday. We have been here many times for lunch but never have stayed until now. The weather was terrible but that is beyond the control of the great staff. Everyone from making our reservation, the dock master, restaurant & bar staff, house keeping to the owners were all great. The cottage was perfect & only steps away from our private dock. … But, this is where it becomes a challenge to review the lodging as it feels like I am sharing a secret that I shouldn’t be sharing (that staying on the island is awesome) and because I kind of want to keep it to myself! 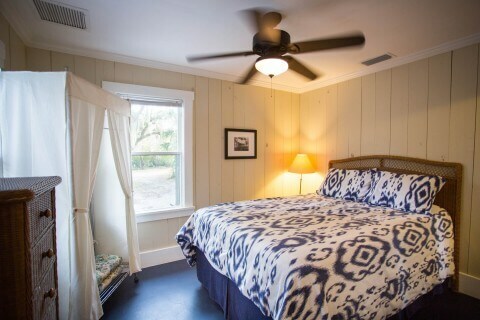 … We stayed in the Tarpon Cottage for four nights– a wonderful, light, bright, simple but very clean two bedroom cottage which included a well equipped kitchen. We peeked into the Dollhouse and the Cabbage Patch and found both of these to also be just as clean and comfortable. We could sit inside in the living room, on the screened porch or out on the dock and watch the water, sunsets and the boats and dolphins go by. What more could you want!? … The island is wonderful to explore and kept very natural – with birds and other critters in abundance … Communication/booking with the Cabbage Key staff was easy and helpful as it was with Island Girl Charters and Pine Island Taxi which made it easy and convenient to get to Cabbage Key from the airport. A special shout out to Tim and Brian on the boat who were really informative and friendly. We can’t wait to go back and hope to make it a yearly event! In June 2012 my wife and I stayed at Cabbage Key in the Tarpon Cottage. It was an absolutely fantastic time. We both agreed that we didn’t want to leave. Having never been there and not knowing if we would like it, I only booked 4 nights – Epic Fail! I should’ve booked a week. If you want to totally relax, this is the place to do it. 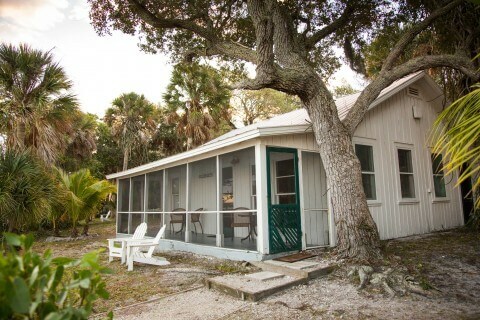 There are only 7 rentals on this 100 acre unspoiled island. The Tarpon cottage has it’s own private dock as do several other of the rentals. We tied our boat up, unloaded to the cottage and 4 of the resident mallards showed up and for food. Every morning and evening 4 mallards and 1 white heron would show up for breakfast. It was also nice watching the ospreys and dolphins feeding and the manatees swim by. One even hung around our dock for 15 minutes. Neighboring Costa Cayo island is a state park and it is beautiful! Also, you can explore Gasparilla, Captiva and Sanibel islands. It is hard to verbalize the charm, personality and benefits of Cabbage Key simply because there is nothing to compare it to. It is unique and has to be experienced first hand. On this visit to Cabbage Key I stayed in the Tarpon Cottage and had one of the most pleasant and detoxifying vacations I have had in a long, long time. … Stepping onto Cabbage Key, and staying at the Tarpon Cottage was like taking a step back in time. The cottage is very much the same as it was built many years ago. 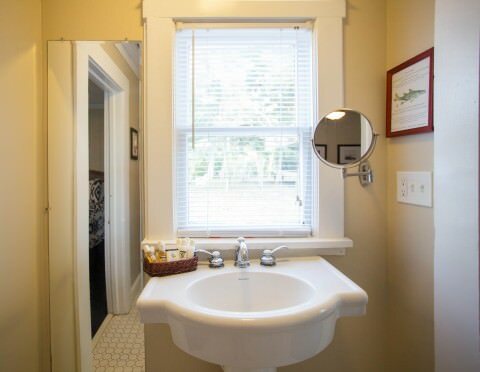 It is a two bedroom, one bathroom cottage with a kitchen, family room and screened in patio. Everything about the cottage is simple, yet perfect. 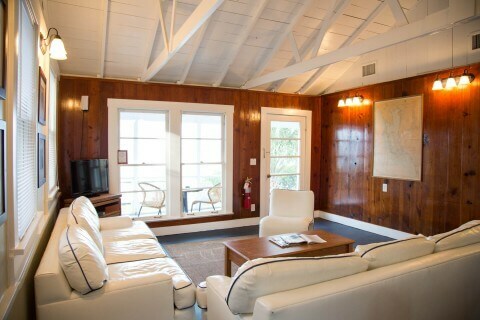 … The cottage is surrounded by large, mature oak trees and palms. There is a dock in your front yard. The view from the dock looks northward, over miles of mangrove islands and calm bay waters. Sitting on the dock, you remember the joys of the simpler things in life, such as the sounds from the Ospreys calling out, watching fish as they jump in the waters before you, seeing Egrets catching minnow, watching as otters frolic about and the distinct aroma of salt water surrounding you. The best part is when you realize that the inner child in you is still alive and well. You’re allowing yourself to be entertained by nature. You (hopefully) have turned off all your electronics, and are taking in the spectacular show that mother nature has provided you. Once you get experience this, you will be a lifetime fan of Cabbage Key. My wife and I paddled our kayak over from Pine Island and stayed in the Tarpon Cottage, a 1930 former Tarpon research lab. The cottagge has its own dock with a view of the sound from the living room. It was very cozy and the full kitchen as nice to have. The restaurant was good-nothing fancy but well prepared and the service was warm and friendly. Having a drink at the bar with the colorful locals is a must. Cayo Costa state park is a short paddle away with access to the Gulf beaches, which were empty. If your looking for a relaxing get away without fancy ameneties this is defimitely the place.